In the past few months, two things happened to me, which resulted in a third. First, I decided to try out a dairy-free diet and observe the effect this change had on my quality of life. Second, my sister gave me a fantastic vegan cookbook for my birthday. At some point, while slowly realizing that going dairy-free affects every single meal and snack to a greater extent than I anticipated (most potluck dishes I used to prepare, the occasional baked good from a coffee shop, any trail mix package with yogurt or chocolate bits…) I came to the conclusion that I may as well look for vegan alternatives to foods I eat everyday. With my new cookbook in hand and the determination to make this experiment work, I ventured forth into the unknown and as a result, have spent the past month and a half consuming a mostly vegan diet. This is the third thing that happened to me, half by design, half by chance. It’s been a very fun learning experience. I am getting better at making huge batches of delicious food every Sunday night. My spice rack is close to overflowing. 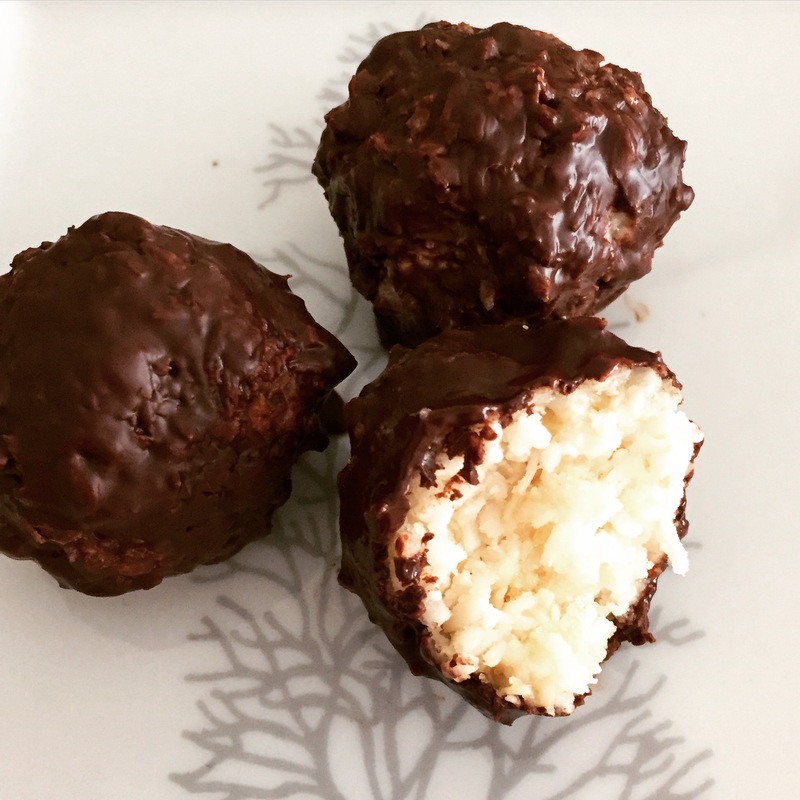 I get unreasonably excited when I learn that it’s possible to make “cream” from cashews, “eggs” from flax seed, and actual chocolate truffles from dried dates. If all of this isn’t strange enough, my hair and nails have gotten stronger after I gave up dairy than they have ever been. Seriously. The vegan approach to cooking has taught me a number of things that I did not expect to learn. Here are a few of them. So far they are leading me to a healthier and more fun relationship with food. (1) It’s good to spend time making things from scratch. One of my first forays into healthy vegan options to snacking came in the form of making my own granola bars. I am incredibly obsessed with granola bars in general; spending 30 minutes each week making a new batch made me appreciate them even more. Being in control of the types of ingredients you are putting into something that you eat on a daily basis (who am I kidding, sometimes more than once a day) is empowering and a great way to keep your mind on eating clean with every meal and snack. (2) There are healthier ways to get protein. Steak is really not the only source of protein for the human body. There are healthy ways to get it in other places, all of them accessible. I’ve been using beans, nuts (cashews, almonds), seeds (sunflower, pumpkin), hemp, chia, and even vegetables! Spinach, potatoes, and broccoli all have protein. You don’t really even have to look for it – most of the time if you are eating well, protein just stumbles into your diet. (3) A calorie is not a calorie. What and when we eat matters more than how much we eat (within reason, of course). I hate limiting my food intake and really like delicious things; for the record, here is what I bring to work on a day when there’s a 6 PM yoga class to get to. 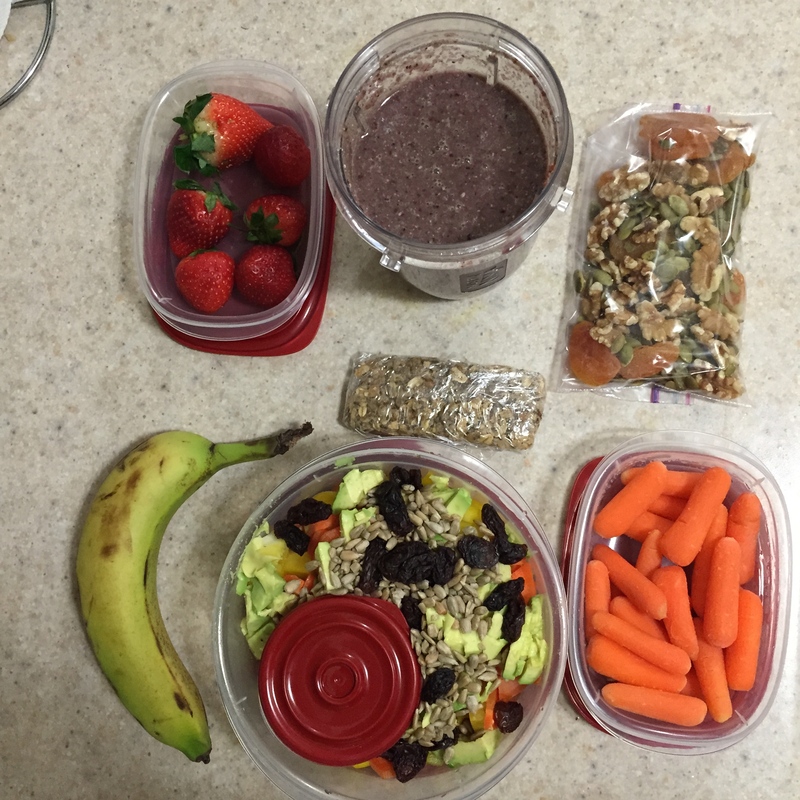 On other days, I simply omit half of the trail mix in the upper right. Instead of denying myself snacks (that would be awful), I’m eating lots of fresh things, and trying to give my digestive system a break at night by not eating too late. This has made a difference in how I feel (more energy, better moods). I know from experience that counting calories will not make such a difference. (4) Raising livestock encourages an overuse of antibiotics and unnecessary greenhouse gas emissions. In the United States in 2011, 80% of antibiotics used went towards livestock. Whether this was for preventing disease, or for encouraging unnatural growth in the animals, isn’t this figure frightening? Especially considering the fact that antibiotics are overprescribed in the offices of medical practitioners in the first place, and antibiotic-resistant bacteria are developing with increasing speed every year. Raising livestock has huge environmental repercussions as well. Depending on which study you reference, the percentage of total greenhouse gas emissions caused by livestock activities is roughly 18%. About one half of this impact comes from the obtaining crops required to feed large animals that are an inefficient source of calories. As Marcel Dicke points out in his intriguing TED Talk (“Why not eat insects?”) the world’s population gets richer and larger, its demand for food will rise by a proportion that will be literally impossible to achieve: 70%. There is no room on this planet to produce 70% more livestock. Down the road we will be eating less livestock, no way around this. Adopting a vegan diet, or an often-vegan diet, might just mean staying ahead of the curve. (5) Globalization is a great thing. The reason that a healthy vegan diet is now more accessible than ever is that it’s not unreasonable for a cookbook to request that its reader acquire chia seeds for a smoothie. We can buy almost any ingredient to enhance our diets. Instead, most of us over-rely on the same few foods every week, especially on the processed, sugary, artificial, and unnecessarily greasy varieties. This is the so-called Standard American Diet (aptly abbreviated SAD) that is easy to fall into, even though it will do nothing for your taste buds and wreak havoc on your body. How boring! As a parting thought I challenge you to find, try, and make the following foods. Locate the biggest mushroom in your grocery store and do something delicious to it. An easy one: bake sweet potato fries instead of French fries. Pick one leafy green thing that you haven’t tried before and have it in something other than a salad. Ideas: watercress (for smoothies), swiss chard (for casseroles), bok choy (just steam it). Impress your friends with something that appears difficult to make and looks sophisticated but is actually the easiest thing in the world, such as this lentil walnut loaf. Tags: cooking, dairy free, environmentalism, food, globalization, greenhouse gas emissions, health, livestock, SAD, vegan, vegetarian. Bookmark the permalink.